This week I started reading Ann Voskamp's One Thousand Gifts. It has really made me think about the simple joys in life all around me, all the gifts in this life. The goal is to write a list of one thousand things we are thankful for. It's so refreshing to step back and consciously look for the gifts in my life. 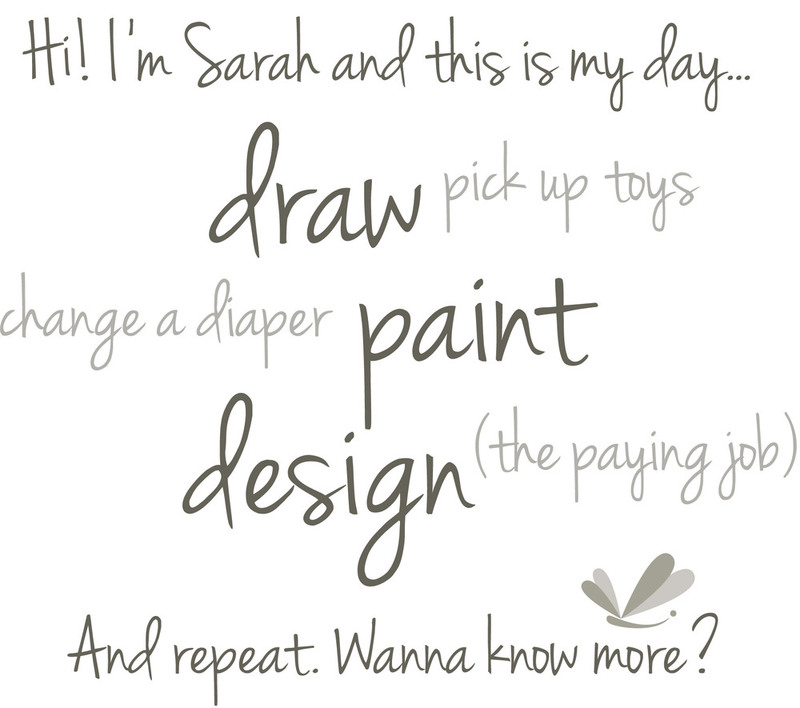 It takes the focus off of me, me, me and helps me see, in the midst of all the busyness, how blessed I am. 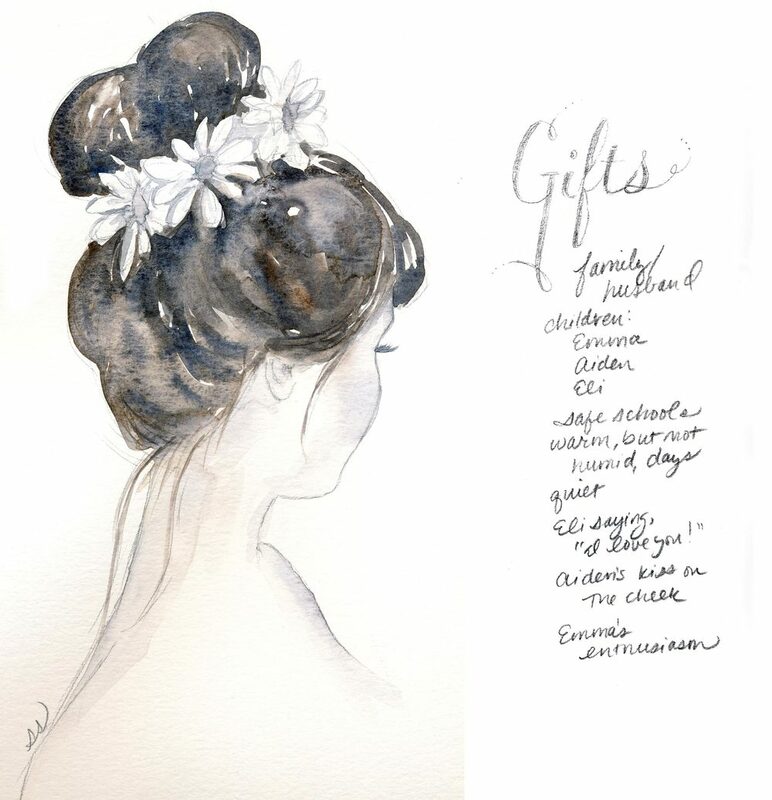 So, in the sketchbook, next to the girl with pretty flowers in her hair, I started with 10 gifts: family/husband; children: Emma, Aiden, and Eli; safe schools; warm, but not humid, days; quiet; Eli saying, "I love you! "; Aiden's kiss on the cheek; Emma's enthusiasm. I found it quite easy to come up with 10 but I wonder as my list goes on, how hard it will be to come up with more. Have you ever written a "thankful" list? How far did you get? Is it something you practice everyday?